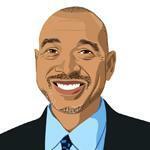 How much abuse should kids take from a coach? First, it was Rutgers basketball coach Mike Rice, who hurled basketballs and gay slurs at his players. 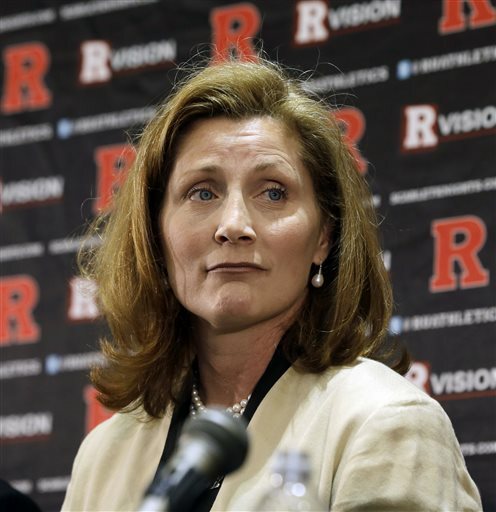 Now, Rutgers' incoming athletic director -- who was supposed to preside over a cleaned-up sports culture -- has been accused of her own extreme bad behavior while coaching women's volleyball at the University of Tennessee. In a letter to the school 16 years ago, players said Julie Hermann called them "whores, alcoholics and learning disabled." In interviews, they told the Star-Ledger of Newark that she punished them with gossip and humiliation. Hermann says she doesn't remember the letter -- and that she was "intense," but not abusive. Rutgers might be an extreme example of coaching misbehavior, or it might not. Many coaches and psychologists talk about a hard-core coaching culture that borders on abuse -- and a longstanding a belief that harsh practices draw peak performances. So where should we draw the line between demanding and demeaning? Are we too tolerant of bullying from coaches, or do we expect too little from young athletes? Do you have stories to share, as a player or a coach? Below are some thoughts about coaching and kids. Add yours to the comments below, or tweet at the hashtag #BostonComment. Am I an intense coach? I'm absolutely an intense coach, as many coaches are. But there's a big canyon between being super intense and abuse, and this was not an abusive environment for these women. Was it challenging? It was incredibly challenging. And was I aware that there were players who were unhappy? I was aware of that by the end of the season. A cautionary tale for state schools? Rutgers is a flagship state school that lacks the national visibility of a Michigan -- and is trying so hard to be one of the big boys and girls that it clearly is not minding the store of integrity. It will be entering the Big Ten Conference next year. But the prior athletic director, Tim Pernetti, had to resign for botching the Rice scandal. The university hailed new basketball coach Eddie Jordan as a Rutgers alum, but he never graduated. Perhaps this should be yet another cautionary tale for UMass Amherst, which has moved up to the top level of Division 1 in football and the Mid-America Conference. UMass is already spending millions of questionable dollars on the move. Letâ€™s hope the move does not cost it something that money cannot buy. Once corporeal punishment declined in schools, verbal abuse became a lot more common. And players are more likely to tolerate verbal abuse than physical abuse. That's because, in the absence of their parents, students assume it is acceptable for adults to act this way -- especially when it is an adult they look up to and admire. And, given the high stakes of youth athletics and college sports, young people are reluctant to complain about abusive coaching, for fear of losing playing time or a starting spot on a team. 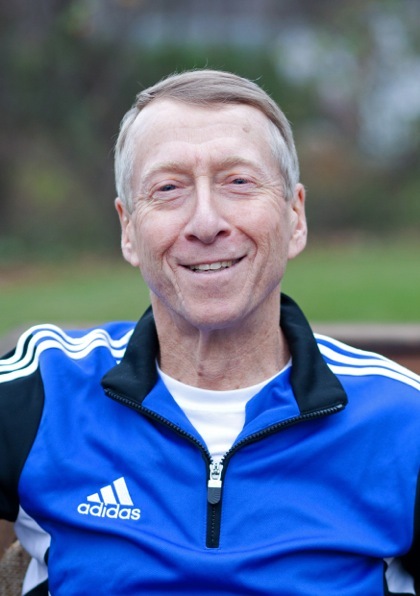 Author, "Playing to Win: Raising Children in a Competitive Culture"
Thereâ€™s very little effective coaching education. So thereâ€™s a dichotomy that comes up. The behavior that we see on the athletic field would never be tolerated in the classroom. Itâ€™s almost as if coaching is not education. You have a kid in the classroom from 8 to 3, theyâ€™re not exposed to abuse, they're not exposed to humiliation. So what, does their nervous system change when itâ€™s 3 o'clock and they get suited up and they get on the athletic field? From my perspective as a performance expert, thatâ€™s flat-out silly. There are some kids who are resilient and can get through that unscathed. But there are many kids who [don't]...I've seen kids who were all-state athletes who stopped playing. I've seen basketball players who are unbelievable athletes, who had such abusive coaches that they don't play pickup anymore. It kills the love of the sport for them...Iâ€™ve seen kids with unbelievable overuse injuries because they just didn't believe their coach wouldn't get mad at them...I always go back to the bloody sock, when Curt Schilling pitched on that ankle. We romanticize that in sport, that playing through through injury is somehow this badge of honor. 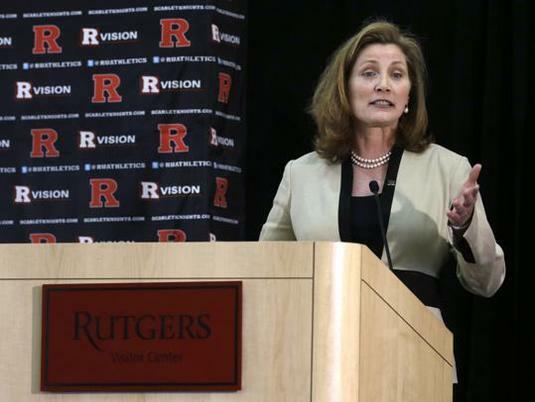 Rutgers AD called players whores, alcoholics and learning disabled. My parents paid nuns to tell us that. Who shouldn't bother with college?